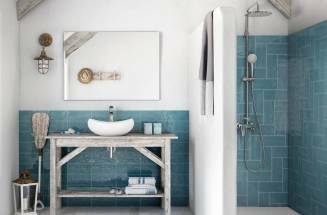 Upgrading your shower shouldn’t have to be a big project. We think everything about your shower should be relaxing or invigorating and adapt to your own needs. 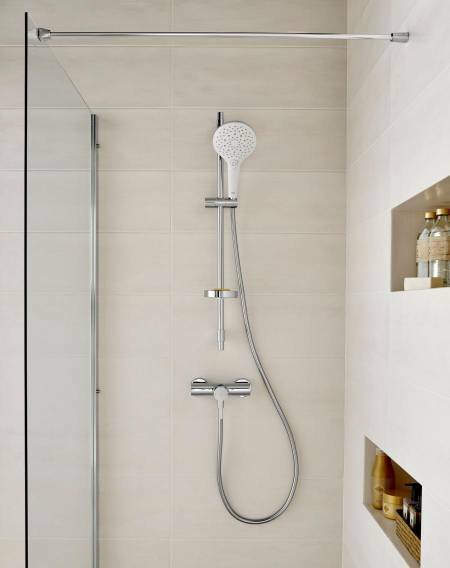 With many customisable options, our showering options include those that allow products to be adjusted to suit your height, offer different functions, as well as extras like hydromassage. To enjoy maximum functionality with minimum hassle, opt for a new handset and team it up with a swivel wall bracket. This shower can be used over the bath or while in the bath. Also if you install the bracket high enough, it will serve as a shower-head and will allow you to have your hands free while you shower standing up in the bath too! 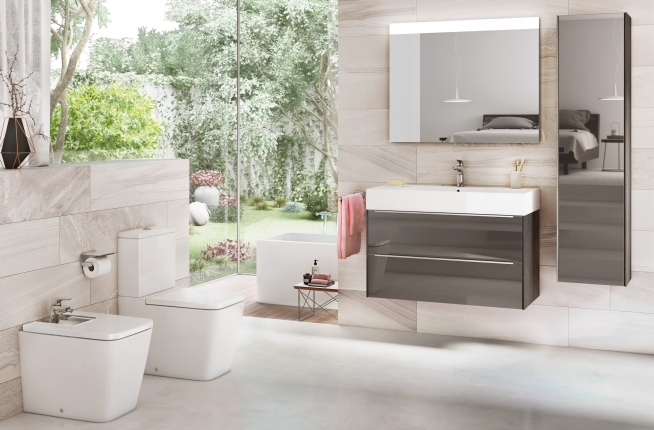 Discover Roca’s hand-showers here and a selection of swivel brackets here. If you prefer to be able to adjust the height of the shower, you may choose a sliding bar, also known as a slide rail. These come as a rail kits, containing the rail, bracket, hose and shower handset. The kits also include a soap dish, so you’ll have everything you need to hand. These separate kit options allow you to keep your current bath shower mixer and just upgrade the showering parts. Discover Roca’s rail kits here (scroll down to the bottom of the page). Upgrading the whole shower mixer? 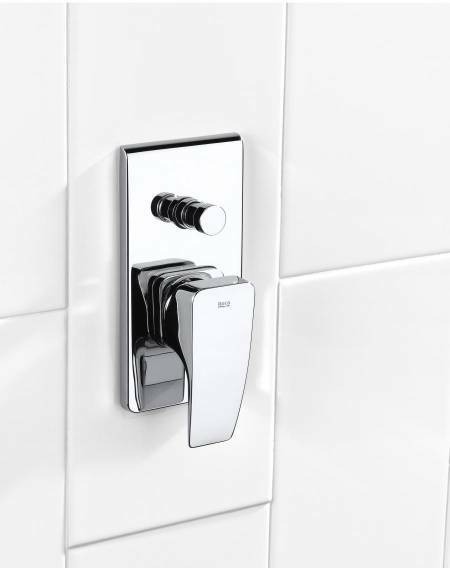 If you are looking for a completely new shower mixer valve with a swivel bracket, click here to view the options. 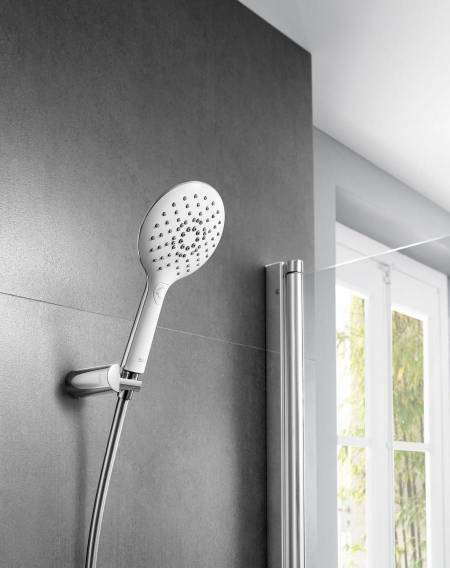 Some of these come with a hose, hand-held shower and swivel bracket, others are stand-alone mixer valves which can be teamed up with the options discussed above. No need for several separate parts if you choose a shower column – you will have everything you need in one single piece. 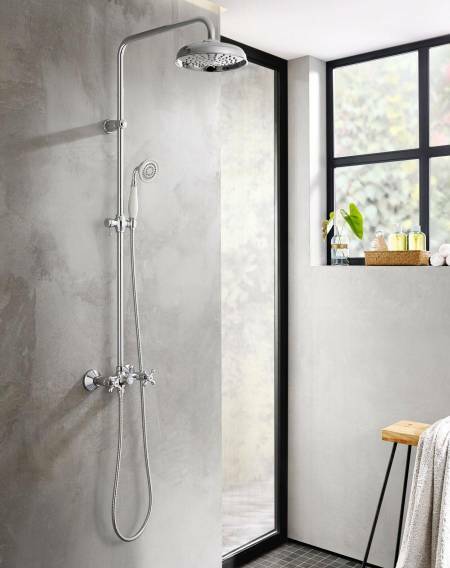 These shower columns generally include wall-mounted brassware (thermostatic, twin-lever or single-lever), a sliding bar with height-adjustable bracket for the hand-held shower, and an integrated shower head. An ideal solution to help you enjoy your perfect shower. To enjoy the ultimate shower experience, you can upgrade your shower to a thermostatic shower column which includes hydromassage. 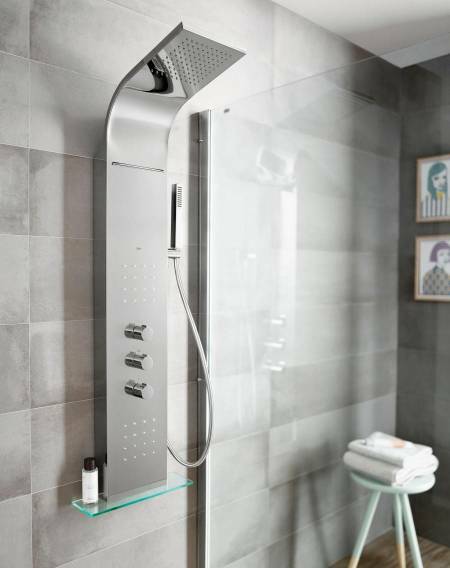 This shower column integrates all the components of a conventional column, as well as targeted jets that can reduce stress and improve circulation – making your bathroom a haven for comfort and indulgence. You can find out everything about Roca’s hydromassage columns here. 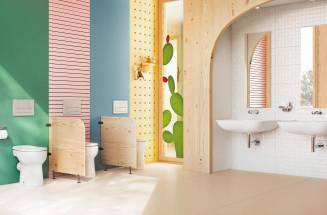 Tips on how to make your bathroom a child-friendly space.